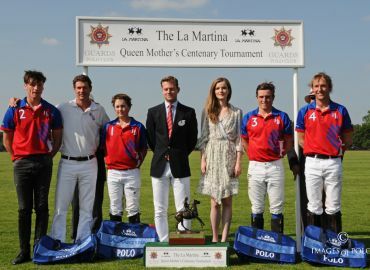 Defining the polo experience - Learn to ride and play polo for the very first time, or take your skills to the next level. Whether learning to ride and play polo for the very first time, or taking your skills to the next level through practice games and chukkas, Guards Polo Academy offers a diverse range of options through which to enjoy the challenges of the world’s oldest, most graceful and exhilarating sport. Set in 240 acres of stunning parkland, Dorchester Collection’s Coworth Park Country House Hotel and Spa provides the ideal venue for the ultimate polo experience – a peerless blend of Coaching and Hospitality. Perhaps you have never played polo, maybe never even sat on a horse before. Our coaches will provide a safe and secure environment and will have you hitting a ball from your polo pony within the hour. Practice makes perfect! Even lifelong polo players have something new to learn and practice. Whether you require a one-off specialised lesson or a practice match, every level of player is catered for. Individually tailored, multi-day and residential courses are very popular with our overseas visitors and ensure optimum improvement. 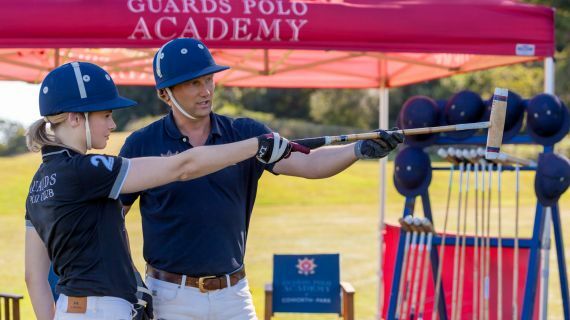 Click on the link below to contact the Guards Polo Academy team to find out more about polo experiences or bespoke tuition or to buy gift vouchers. We deliver an exhilarating and unique ‘hands on’ activity alongside a fascinating insight in this quintessentially English sport. From half-day Master Classes to week-long Challenges, plus customised and branded Exhibition Games with superb hospitality.